Subtitled "Its Growth with Brief Accounts of Its Industries". 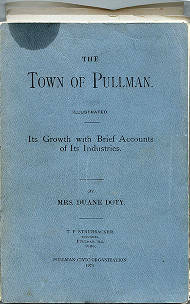 Originally published in 1893, this is a reprint done by the Pullman Civic Organization in 1974. 208 pages with appendix and index. 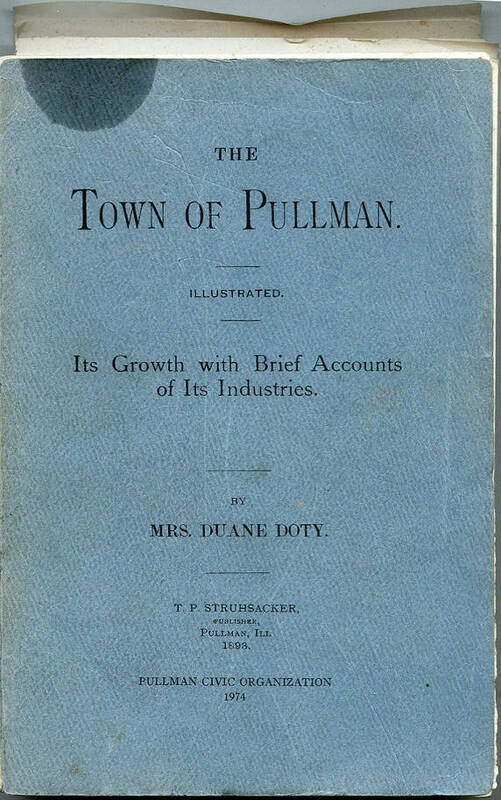 An account of the town of Pullman, it's buildings, functions, and employees. Softcover. Written by the wife of Duane Doty, town manager. Description Subtitled "Its Growth with Brief Accounts of Its Industries". Originally published in 1893, this is a reprint done by the Pullman Civic Organization in 1974. 208 pages with appendix and index. An account of the town of Pullman, it's buildings, functions, and employees. Softcover. Written by the wife of Duane Doty, town manager.